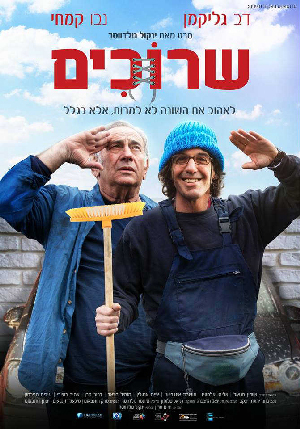 In this award-winning emotional Israeli family dramedy, surly mechanic Reuven (Doval’e Glickman, winner of Best Actor at the Israeli Ophir Awards) reluctantly takes in his exuberant adult special-needs son, Gadi (Nevo Kimchi, from MJFF 2011 Oscar-nominated film Footnote), after his ex-wife’s untimely death. As Gadi becomes accustomed to life with Reuven, Reuven’s world turns upside down from his newfound obligations of supervisor and caregiver. Yet, something has awoken in Reuven since Gadi came back into his life. In discovering that he enjoys both the responsibility and affection afforded by parenthood, Reuven vows to make up for his past shortcomings before it is too late. Thoughtful, poignant, and unexpectedly funny, Shoelaces explores the complex dynamics of adult parent-child relationships through the delicate lens of its special-needs hero.